No need to guess what kind of game this is, it's playing a demo behind the menu. SIX PART BATMAN: THE MOVIE (1989) SPECIAL, part 4. Still no theme from the movie, but this has much moodier music than the last few Batman games. 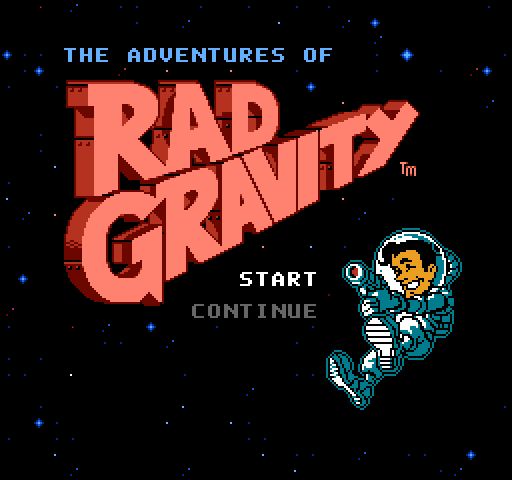 I've played this one before, though all I can remember about it is it's about a robot sheriff who likes to make bad jokes and do acrobatics while shooting bandits. The title song is a nice track that sounds more than a little inspired by Ennio Morricone's western themes. SIX PART BATMAN: THE MOVIE (1989) SPECIAL, part 3. Not a very interesting title screen, but I'm liking the music. WOw, NiCE raNDoM LeTTEr CaPItalISaTioN tHeRe. SIX PART BATMAN: THE MOVIE (1989) SPECIAL, part 2. 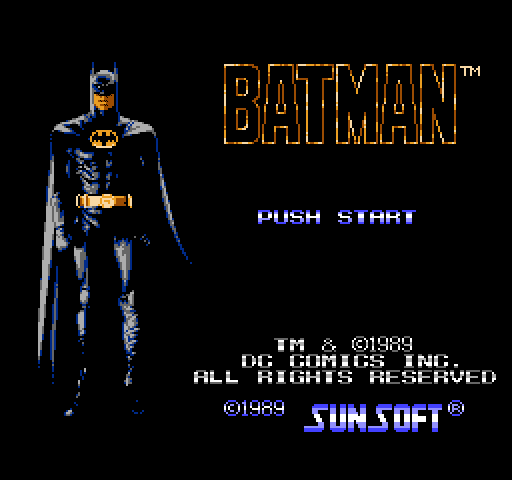 If Batman - The Movie is a video game based on the 1989 Batman movie, is Batman - The Video Game based on the video game of the movie? SIX PART BATMAN: THE MOVIE (1989) SPECIAL, part 1. 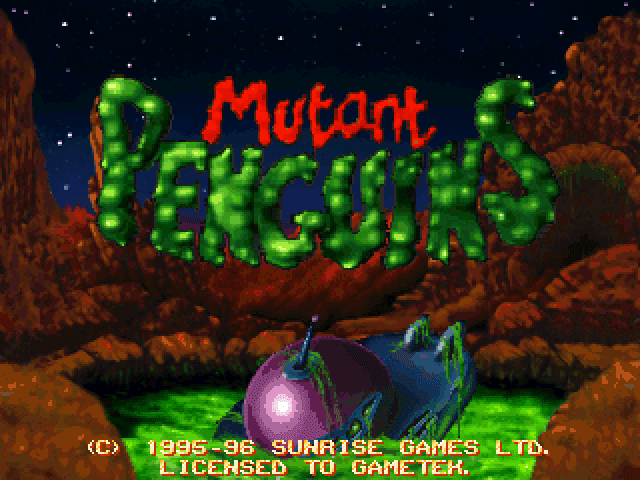 There were at least six different games released to tie in with the 1989 Tim Burton movie, and this seems to be the first of them, released for home computers. Each computer got a different looking version to suit the hardware available, but they're basically the same thing. I think. 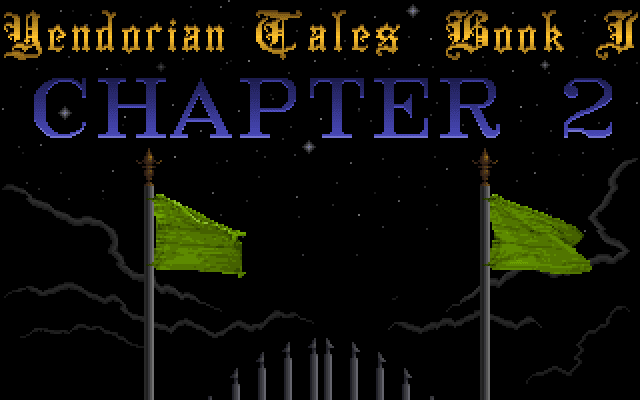 Either way I'm only playing the Amiga version, with its majestic array of bat-symbols on the title screen. 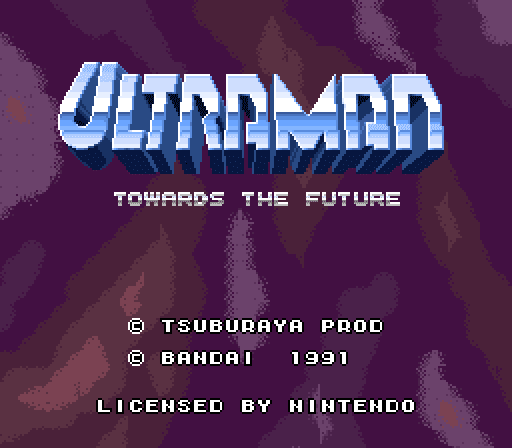 THAT is what a decent looking title screen looks like. 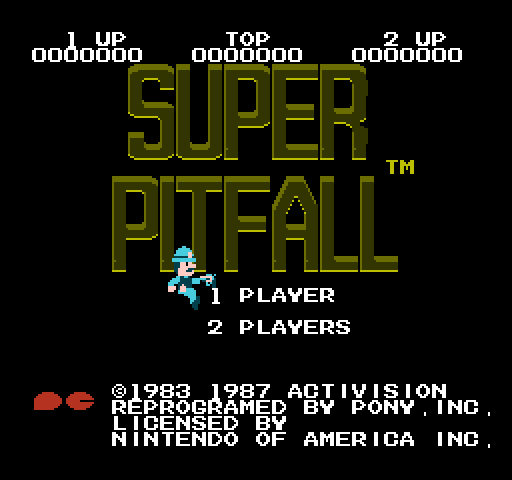 This was a pretty popular game if I remember right, definitely more than Super Pitfall ever was anyway. 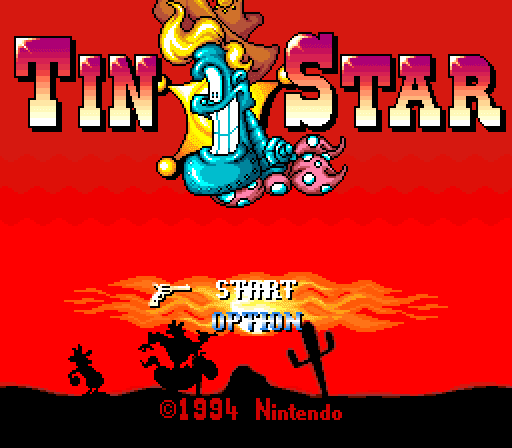 Okay, the hero is holding his revolver backwards on the title screen, not a great sign. I'm kind of disappointed they stopped the title there, they've still got half the screen to fill. 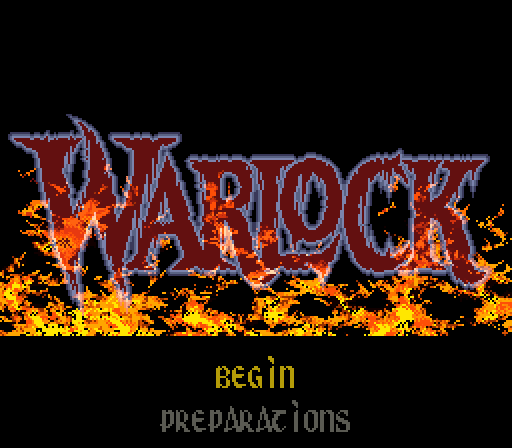 That is a damn fine looking title screen in my opinion. Okay I'm not sure about the pink, but the rest of it is great. I've been waiting to play this game for years. 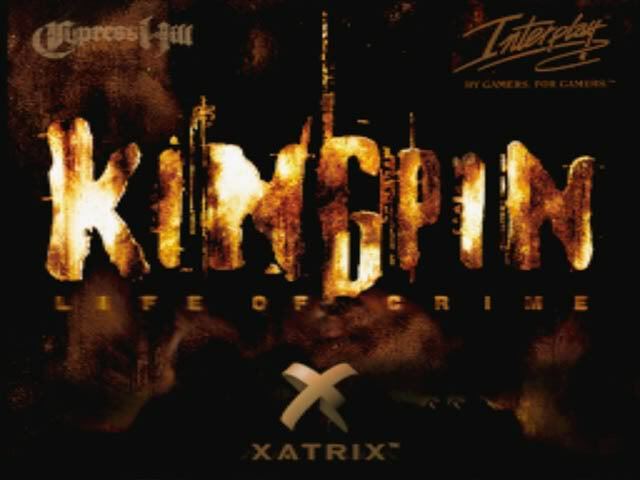 Now that I've got a cutting-edge 20th century 'computer', Kingpin: Life of Crime is finally within my grasp. 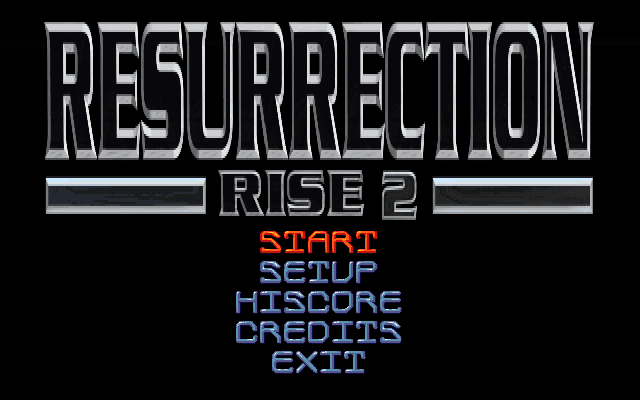 Also known as Rise 2: Resurrection... or Rise of the Robots 2. This could be interesting. Another game based on a movie. Brilliant. Hang on, this isn't actually based on the movie, it's a game of the TV series. Another game based on a movie. Did they just flood fill the outline of that text? Look at the inside of the letters b, e and a. They've called the options 'preparations' just to confuse me. So, they're gonna put the background in later then? Oh great, another Sonic the Hedgehog wannabe. I wouldn't be surprised if this turned out to have its own anime series. Hey, folks! 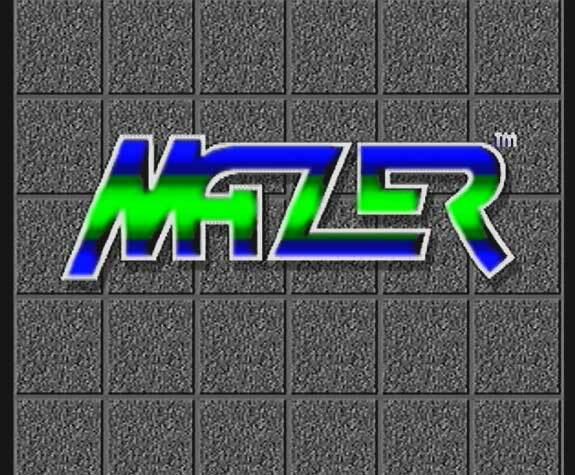 Today, I'm playing Mazer! 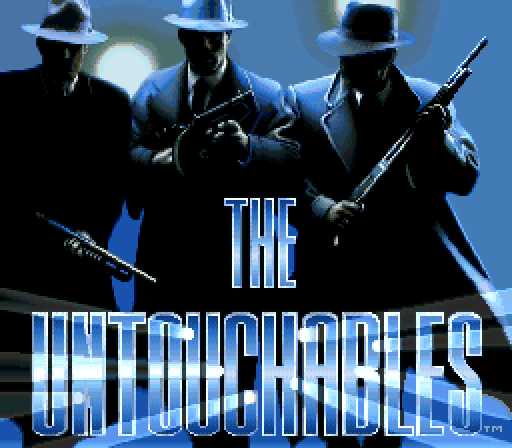 It's a 3DO exclusive developed by legendary arcade FMV light-gun shooter developer American Laser Games! Are you ready? 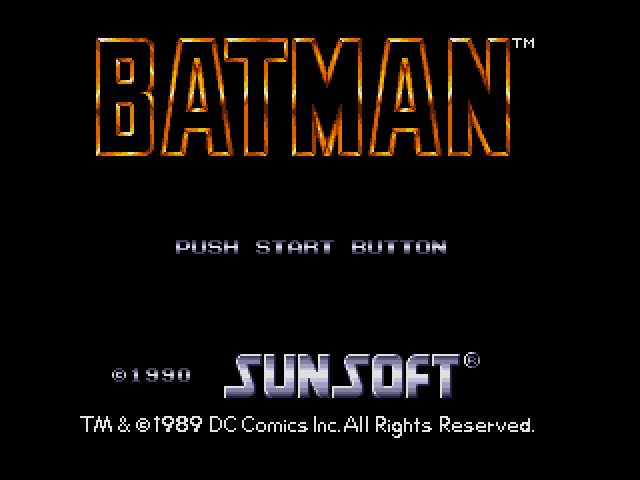 Poor Batman's being squeezed out of his own game by all the other logos. The music sounds like a remix of the 1960's tv series theme, which I guess was THE Batman theme at the time seeing as the Tim Burton movie was still a year away. 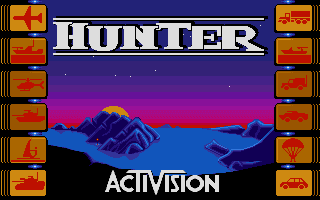 That would be a cool title screen if it wasn't for the low colour depth. Seems like this could be a decent game. I'll be shocked if this isn't a sci-fi space shoot 'em up. Another arcade conversion. I'm hoping it turns out to be better than Dragon Ninja. 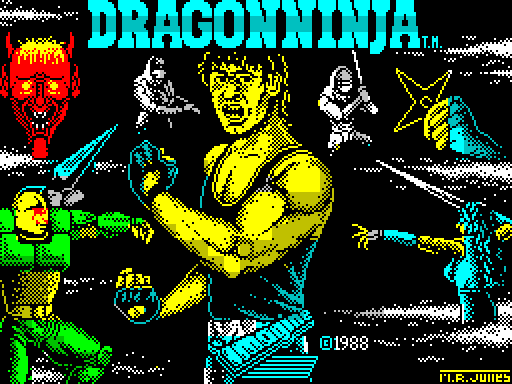 Also known as Bad Dudes, and Bad Dudes vs Dragon Ninja. Based on the famous arcade game. 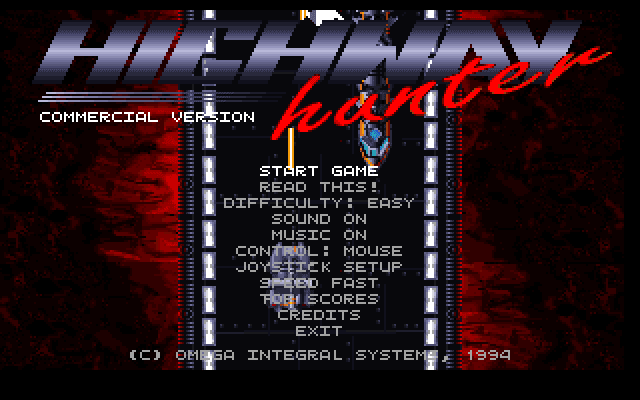 To be honest I'm only playing this because I saw the title screen and wanted an excuse to post it. 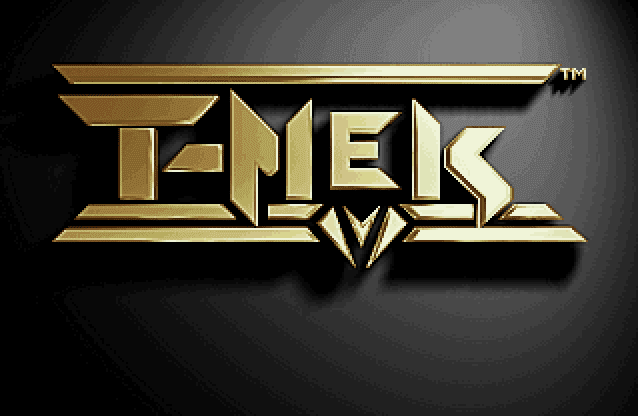 Regular contributor mecha-neko puts his life on the line to bring you another FPS Friday. This one's got a half-decent 80's style illustration (Mobygames link) on the box rather than some lousy rendered thing, so I'm looking forward to seeing what this game looks like. That's Alien vs. Predator, with a singular 'Alien' and a dot after the 'vs'. 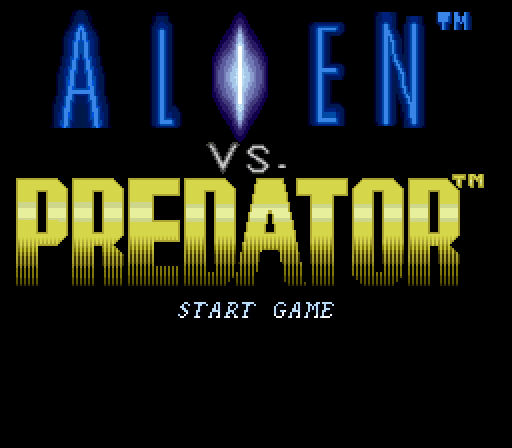 Alien vs Predator (1993) - Game Boy platformer. Alien vs Predator (1994) - Jaguar first person shooter. Aliens versus Predator (1999) - PC first person shooter. Aliens vs Predator (2010) - current gen first person shooter. Feel free to get it confused with the arcade game though, as it has the same name and genre and if they really wanted people to be able to know which is which they should have given them a subtitle or something. 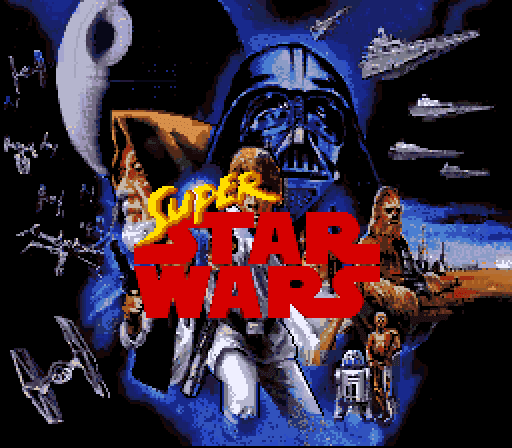 Like regular Star Wars, except a little bit more Super. Wow, he must have had cruel parents. 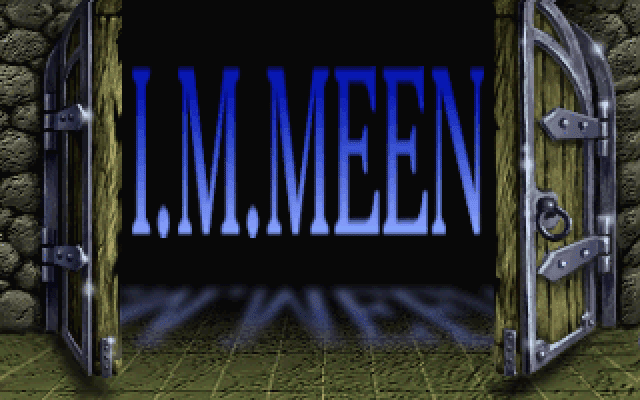 Like Duke Nukem or Rick Dangerous, with a name like that he was doomed to the life of an action hero from birth. This is going to be about walking right and punching people isn't it? That is a really strange title for a game. 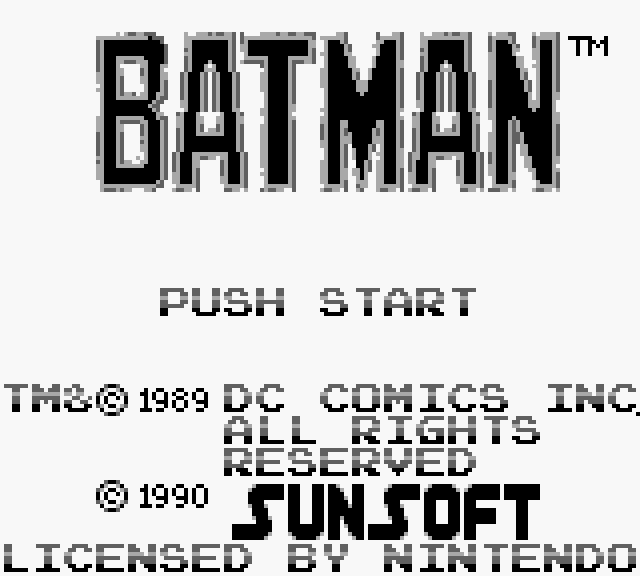 This is the only game ever made with a title that starts and ends with the word 'princess'. Possibly. 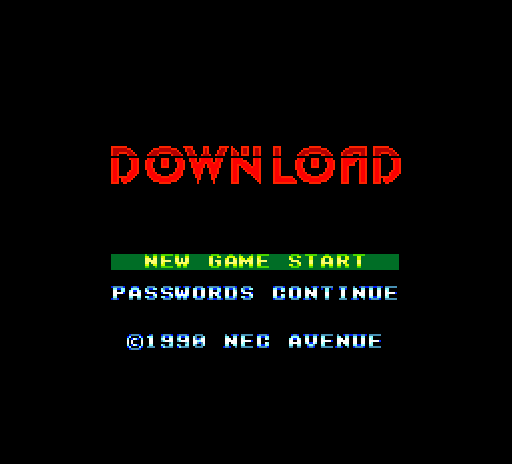 The title screen's not giving much away, but it's called Down Load (or maybe Download) so I'm expecting cyberpunk action. 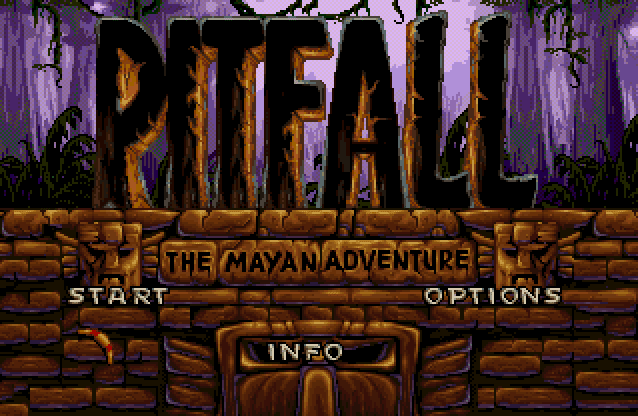 GOOD RETRO GAME WEEK, day 7. This is the last of the good games I'm going to play. Hopefully it turns out to be as good as I remember, and not a crashing disappointment. That logo's not messing around. 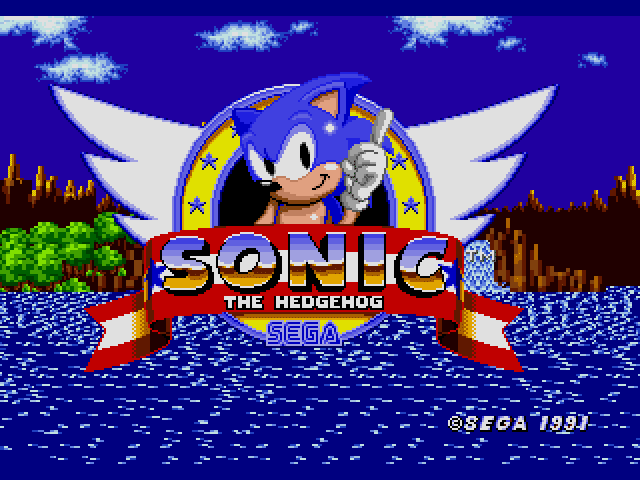 Chrome text, a ribbon, stars, wings, and Sonic himself waving at us in the center. Plus the Sonic theme is excellent. 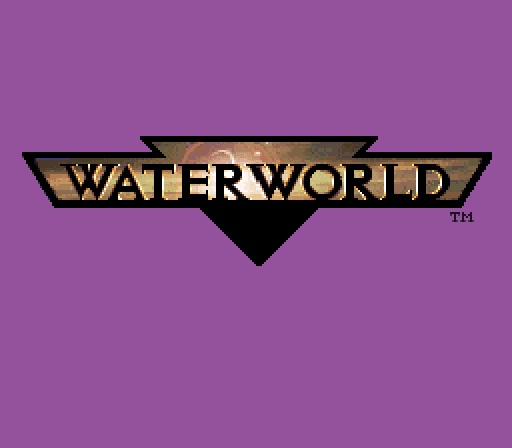 GOOD RETRO GAME WEEK, day 6. I'm playing the final release of the game, running on the X-Wing vs. 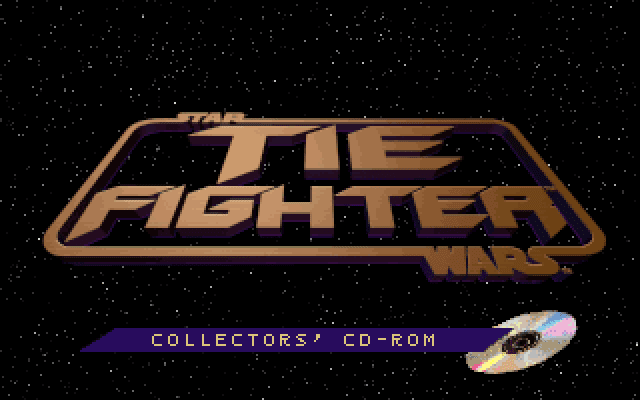 TIE Fighter engine with texture mapped graphics, and music from the movies instead of the fantastic original soundtrack. Usually I'm happy when a movie tie-ins feature the music from their films, and the Star Wars soundtrack is awesome, but it is massively overused in the games. Plus TIE Fighter's original music was dynamic, adapting to the gameplay. 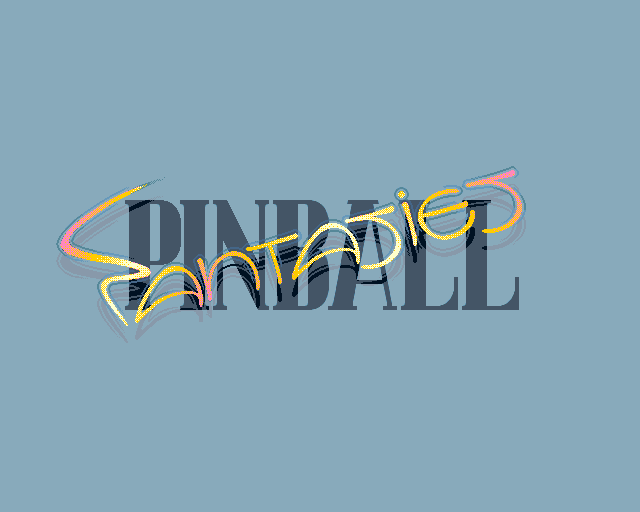 The acclaimed sequel to Pinball Dreams. 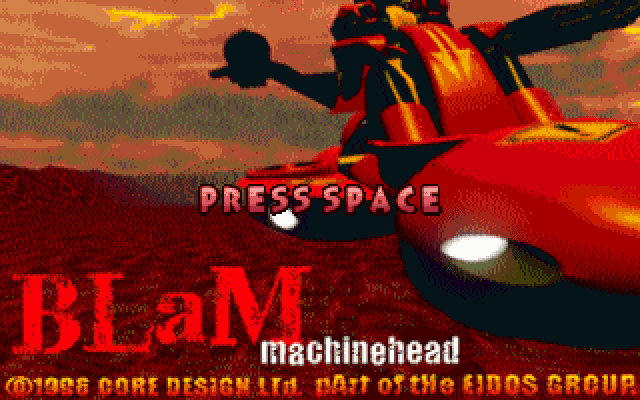 To be honest I think Dreams had way more dramatic title screen music though. 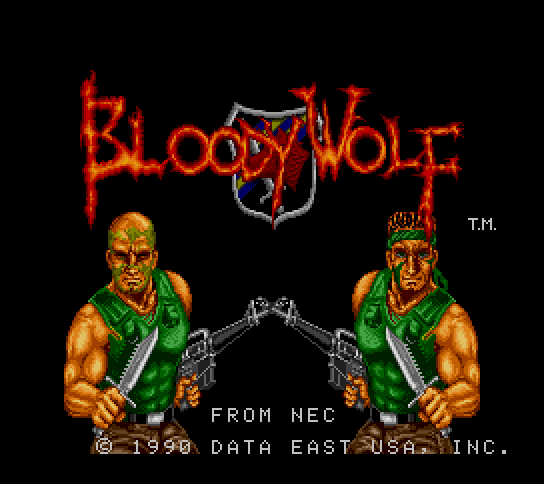 A first person shooter worthy enough for GOOD RETRO GAME WEEK? The final boss of computer gaming. 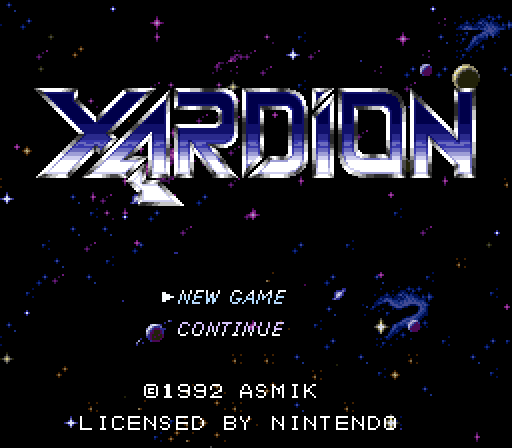 GOOD RETRO GAME WEEK, day 5. 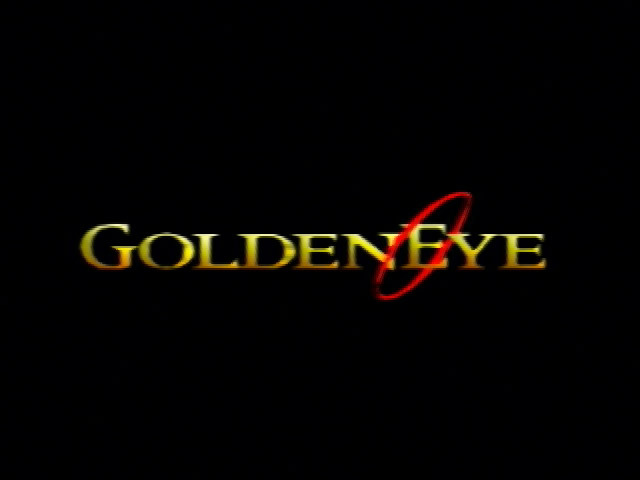 I can't play Duke Nukem 3D and Quake without playing GoldenEye too. It just wouldn't be right. 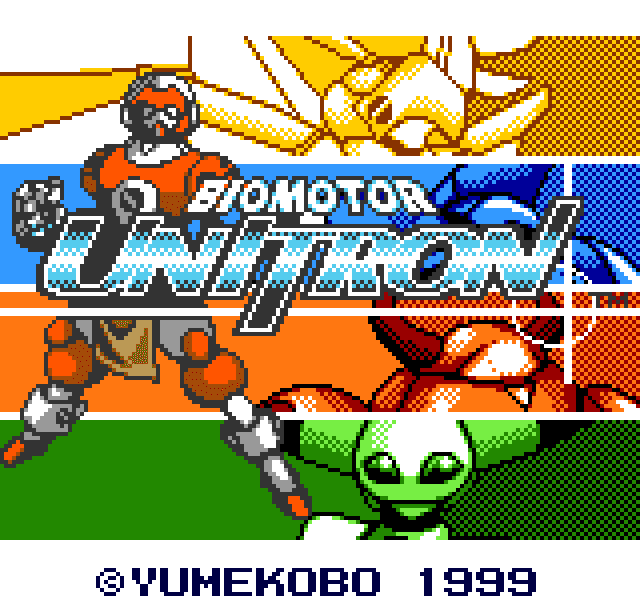 GOOD RETRO GAME WEEK, day 4. 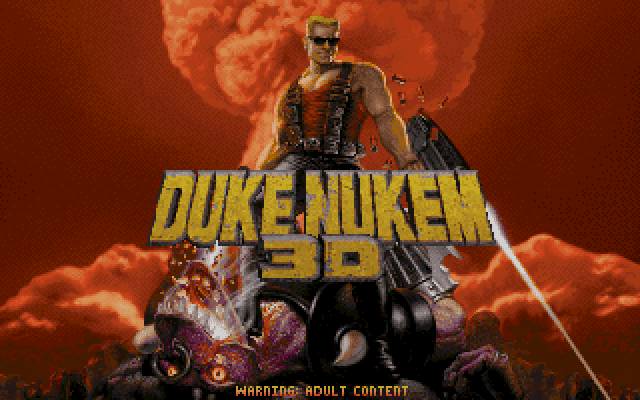 I've dragged Quake out of the warm fuzzy embrace of rose-tinted nostalgia, now it's Duke Nukem's turn to face the harsh light of reality. 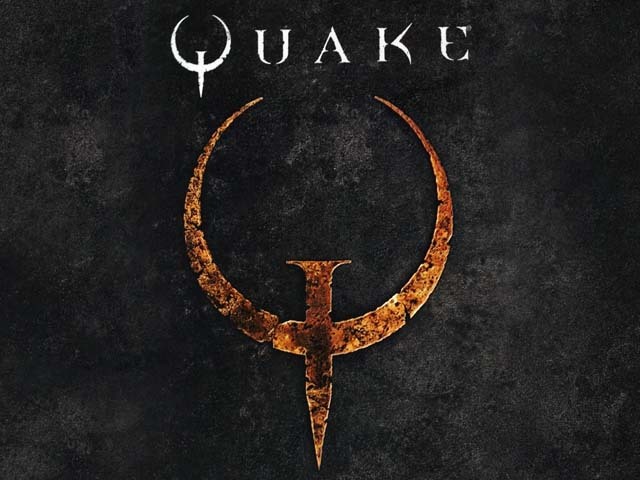 I love the Quake logo, they got it dead on perfect in my opinion. They changed it for the sequels and somehow made it just as perfect for them too. 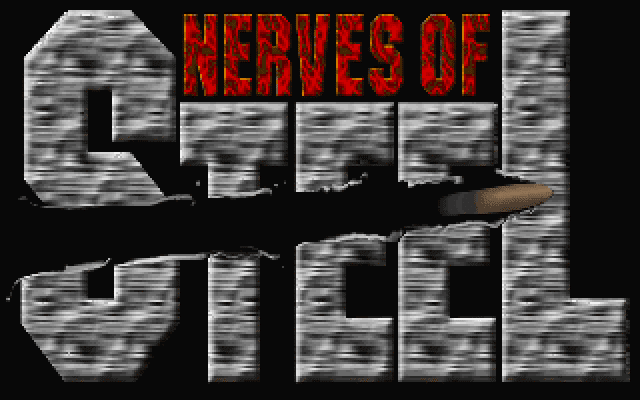 I guess someone at id must really like nails, seeing as there's a nail on the logo, nail guns and super nail guns in game... they even got Nine Inch Nails to do the soundtrack. 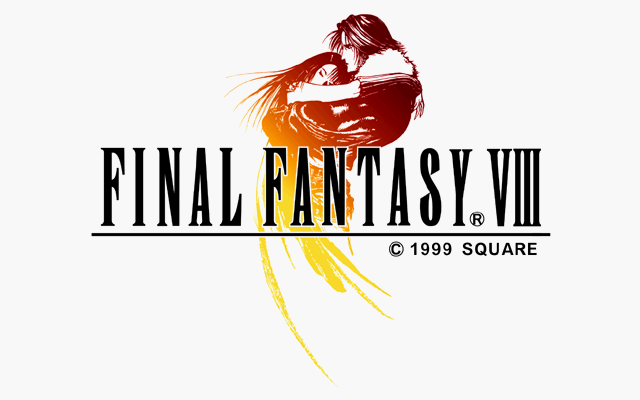 Why did I choose FFVIII and not Final Fantasy VII (or any of the earlier Final Fantasies for that matter)? I went with this one because it was the first JRPG I really had any exposure to, the one I'm most nostalgic about. This is where the genre started for me. GOOD RETRO GAME WEEK, day 3. 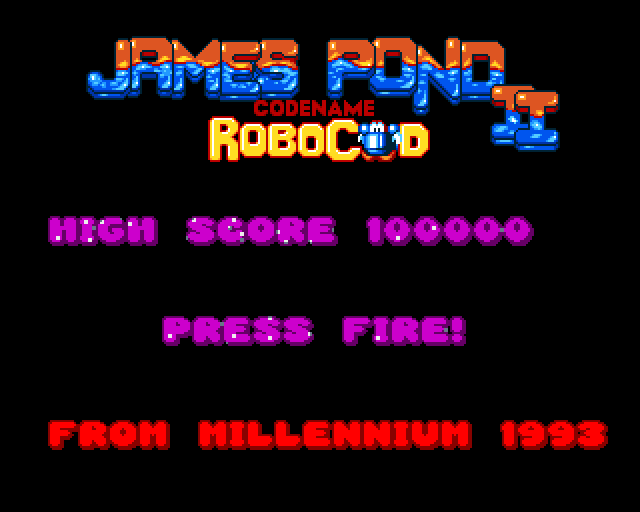 Today I'm taking a look at another game I remember being pretty good, James Pond 2: RoboCod aka. Super James Pond aka. Super James Pond II. 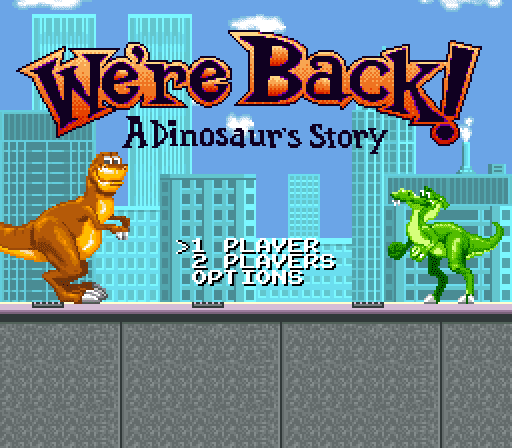 Yep apparently on the SNES the game is its own sequel. 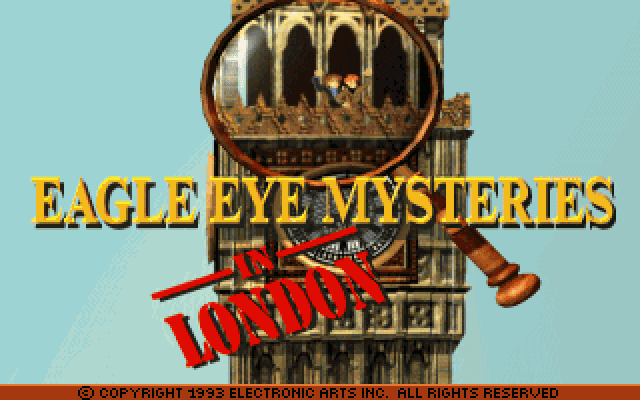 Unlike the slightly obscure James Pond 1, this was released on practically everything from Commodore 64 to Nintendo DS, though I'm playing the original Amiga version. Wow, the theme tune is blatantly a happier version of RoboCop theme. Well not exactly, but it's close enough. Now I'm curious about whether the first game has a James Bond style theme tune. GOOD RETRO GAME WEEK, day 2. This game seemed so advanced to me back when I first played it. It was like a glimpse into a possible future for games. 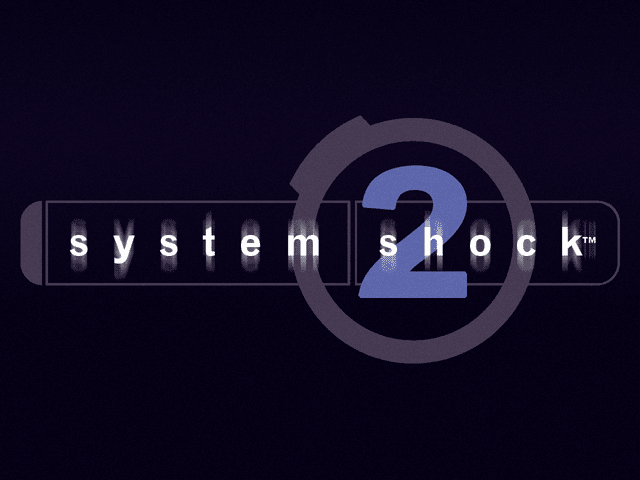 A future of 3d sandbox shooters and huge non-linear rpgs. 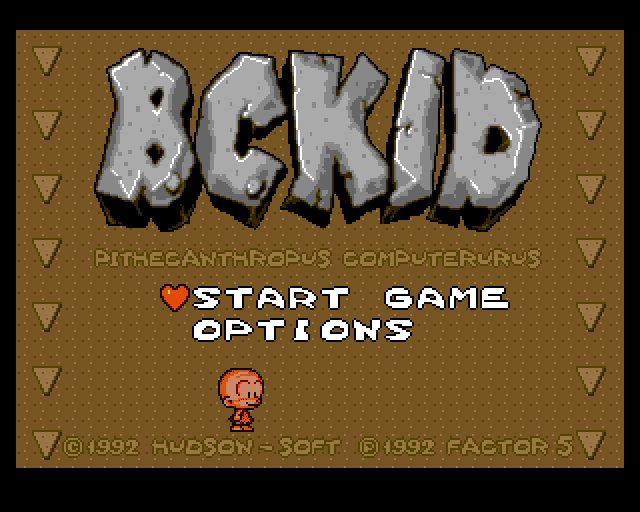 BC Kid, also known as PC Genjin, FC Genjin, Bonk's Adventure... the game's got a lot of names. 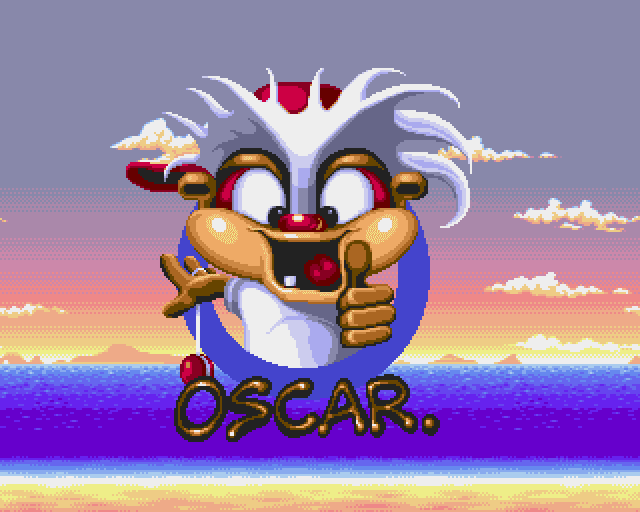 The Amiga version of the game is actually available as a free download from the developer's website here: Factor 5 downloads. 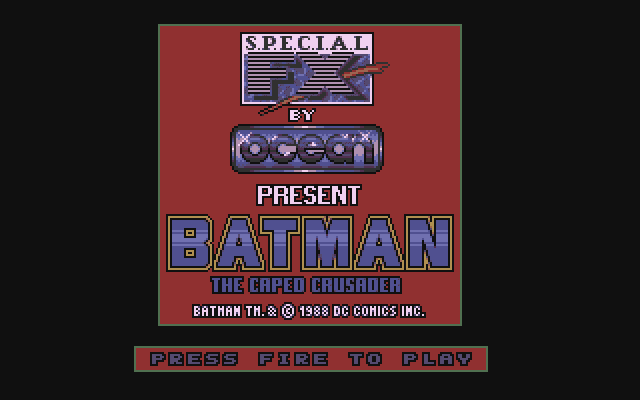 GOOD RETRO GAME WEEK SPECIAL, huh? Here's what I've got for you. 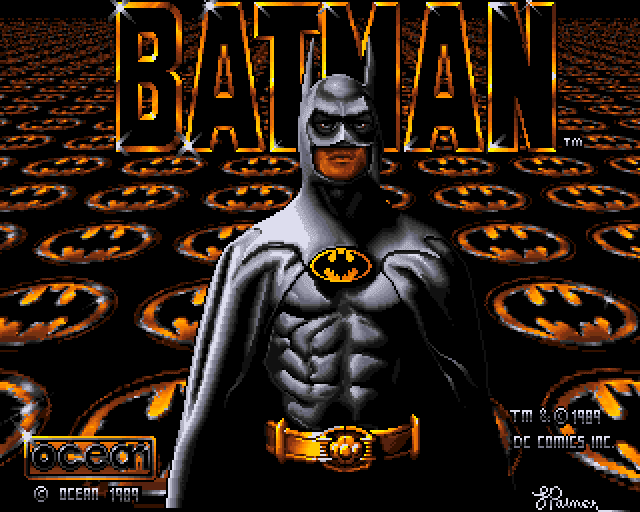 An excellent game for the Commodore Amiga 500 with pretty, smooth-scrolling graphics and unforgettable music. What is Wiz 'n' Liz: The Frantic Wabbit Rescue, Alex? 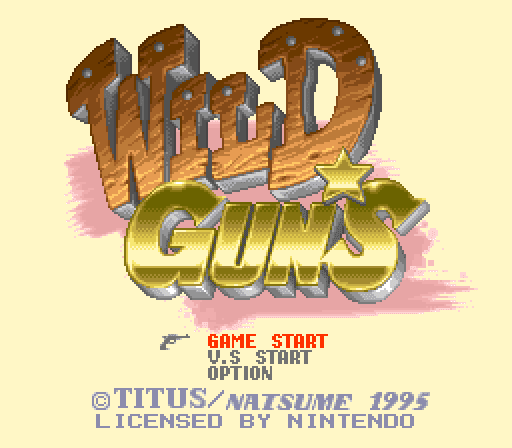 GOOD RETRO GAME WEEK SPECIAL, day 1! For one week only, I'm playing 12 games I used to love. 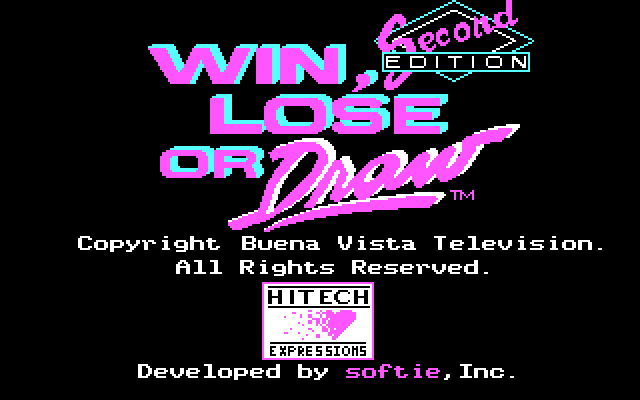 But it's possible/likely that these games won't quite live up to my hazy childhood memories. Will any of them still hold up today? Well I might as well start at the beginning. This was perhaps the first game I ever played, and it was ancient even then.